ROUND-UP: What's New for Summer 2017 in the HHR? ROUND-UP: What&apos;s New for Summer 2017 in the HHR? The 121-acre amusement park is celebrating its 110th season in 2017 with its newest ride addition: Hershey Triple Tower. 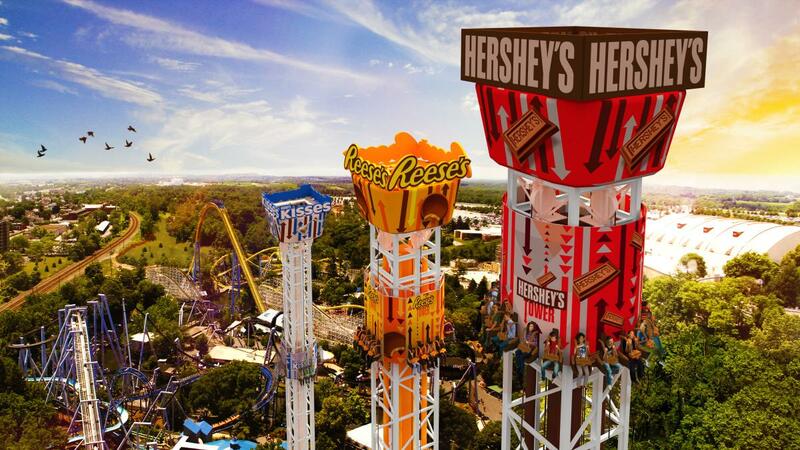 This is the first choose-your-thrill triple tower in the U.S. with the Hershey’s Tower offering the highest drop at 189ft, Reese’s Tower at 131ft, and Hershey’s Kisses Tower at 80ft. The park has also welcomed Chick-fil-A® within the park serving breakfast, lunch & dinner Mon-Sat. 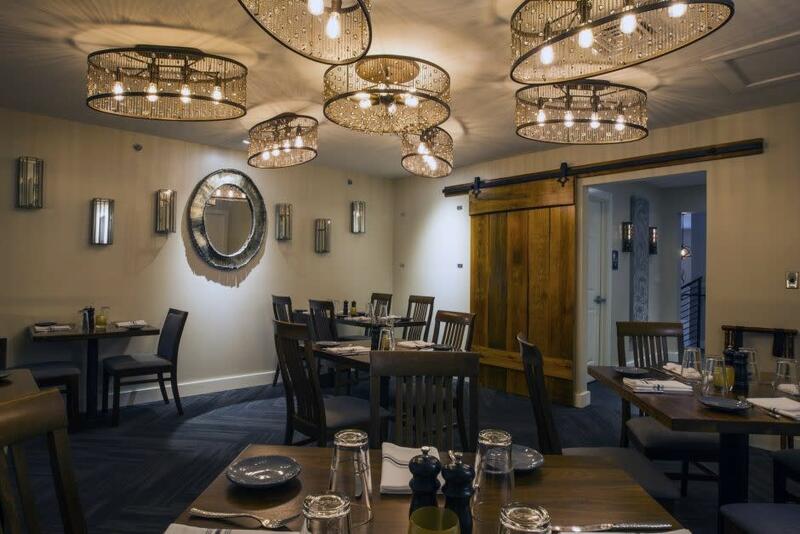 The new contemporary American restaurant Fire & Grain opened at the Hershey Lodge in May 2017, replacing Lebbie Lebkicher’s located off the main lobby in the Lodge. This open-kitchen setting features a full menu of innovative & remastered comfort foods from breakfast classics and baked pastas, to local meats & cheeses and flat breads. Large tables with small plates & a variety of appetizers present the perfect setting for groups & families to share a bit, along with a bar that serves an assortment of craft beers, wine & cocktails. The Hotel Hershey has renovated The West Tower Rooms which were added to the original historic hotel in the 1970s. The Iberian Lounge, located off the hotel’s iconic Fountain Lobby was also refreshed with big oversized sofas, making it the perfect stop for a casual drink before or after dinner. The Hersheypark Sweet Start program allows Season Pass Holders and Resort Guests staying at The Hershey Lodge or The Hotel Hershey to start their day before the gates officially open with up to one hour early admittance in select areas. 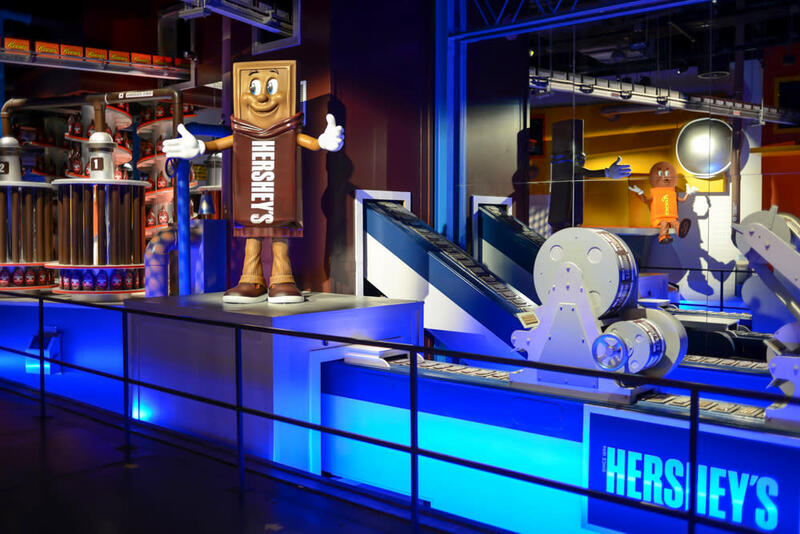 The classic FREE chocolate making ride at Hershey&apos;s Chocolate World was re-imagined in May 2016 with a new photo & queuing experience, updated storytelling, state-of-the-art animated figures including the famous barnyard cows, new theme song, and a cool social media-enhanced finale with posts by Hershey fans from worldwide. 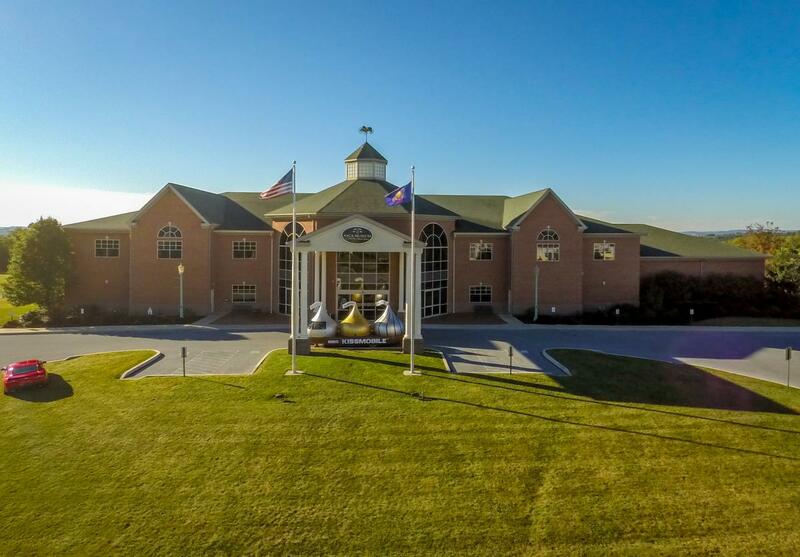 Chocolate World is considered the most-visited corporate visitors center in the world. In Dec. 2016, the attraction welcomed the 100-Millionth guest since opening on June 30, 1973. 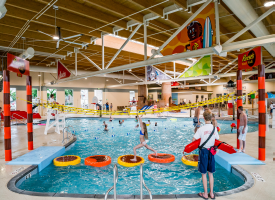 The new indoor pool complex and water attraction made a splash when it opened at the Hershey Lodge on Memorial Day Weekend in 2016. The attraction includes many themed features including two zero-entry indoor pools, whirlpool, Twizzlers Twists Slides, Reese’s Water Walk, Water play structure, and Outdoor splash pad. The new complex is an extensive addition to the 665-room Hershey Lodge property and includes a fitness center, game room, full-service food and bar offerings, plus additional space for hosting groups & special events. The Milton & Catherine Hershey Conservatory at Hershey Gardens opened in late summer 2016. It was created in honor of the conservatories built by Milton & Catherine Hershey in the early 1900’s. 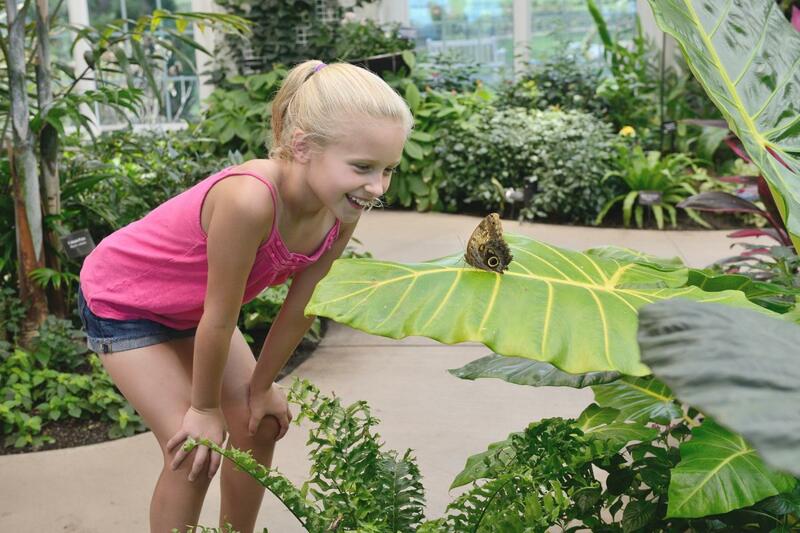 The elegant 16,000-square-foot facility serves as the new formal entrance to Hershey Gardens and includes a year-round indoor Butterfly Atrium with hundreds of North American and tropical butterflies, Welcome Pavilion, and Educational/Horticultural Wing. The new year-round facility was named “New Attraction of the Year” for 2016 by the Hershey Harrisburg Visitors Bureau. This state museum explains why the story of Pennsylvania is the story of America through extraordinary exhibits examining the dawn of geologic time, the Native American experience, the colonial and revolutionary era, a pivotal Civil War battleground, and the Commonwealth&apos;s vast industrial age. In 2017, The State Museum of Pennsylvania completed a long-overdue makeover to the residents of its most popular exhibit space, Mammal Hall. 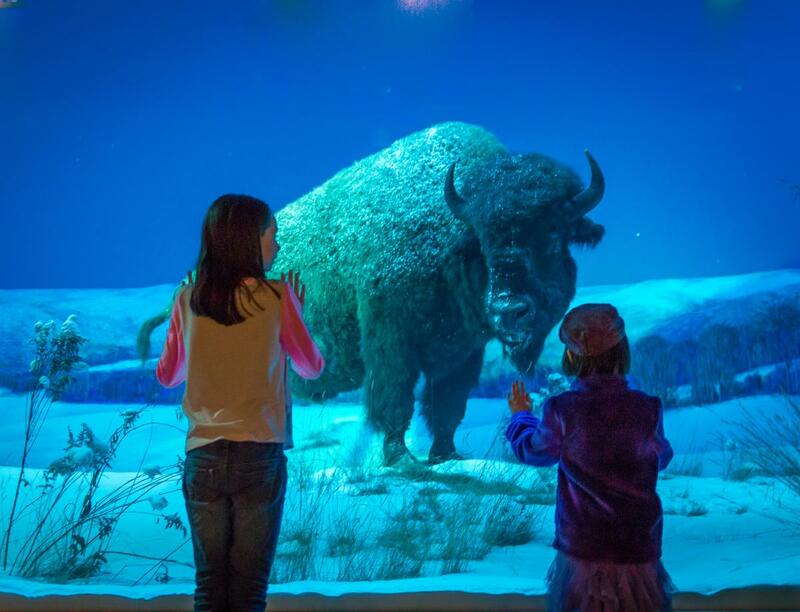 The renovations and refurbishing of the large dioramas featuring rare species of animals native to Pennsylvania took over a year to complete at a cost of $680,000. Prior to this major overhaul, the permanent exhibit had not been refurbished since the museum originally opened in 1968. The most popular exhibits in the hall are two wolves fighting over a fresh meal and the brawny bison standing amid a snow-covered field. The State Museum of Pennsylvania in Harrisburg will display 23 of the nearly 500 World War I era posters currently in the PA Archives permanent collection. The vivid posters designed by some of the most renowned commercial artists of the time represent three major themes of the Great War: the recruitment of members of the armed forces, the conservation food and other material essential to the war effort, and the financing of the war through Liberty Loan drives. The display, offering a fascinating glimpse at how valued American symbols and ideals were used to mobilize the country for war in Europe, is on display through November 12, 2017 in commemoration of the anniversary of the U.S. involvement in World War I. The 50th annual “Art of the State” exhibition at the State Museum opened to the public on June 11 with 130 works of art by 119 artists from 28 counties. 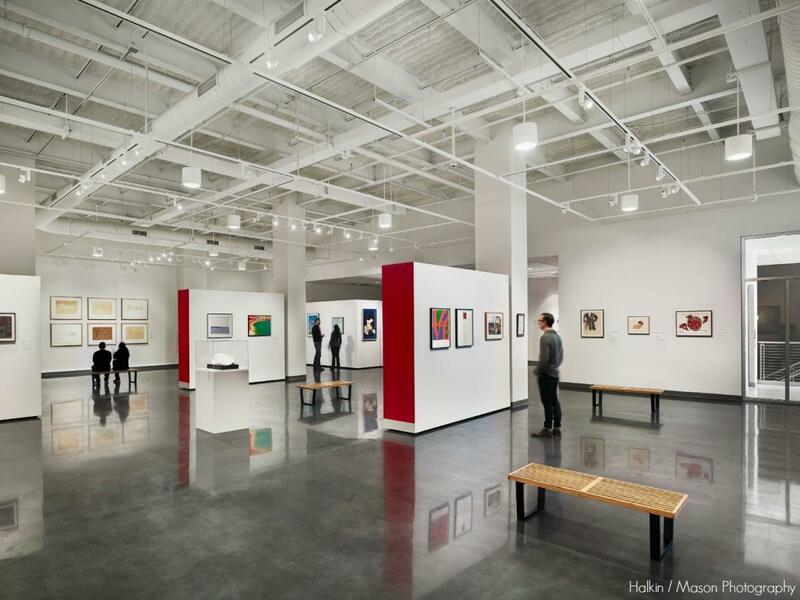 This year’s exhibit attracted nearly 2,200 entries from 845 artists. Art of the State is an annual juried exhibition that has been showcasing the work of Pennsylvania’s artists at The State Museum of Pennsylvania since 1968. The body of art that has been exhibited reflects half a century of creative endeavor in the Keystone State. Through the years, exhibitors have shared their ideas and engaged viewers in the categories of painting, photography, craft, sculpture, and work on paper. The 31 pieces in this new juried exhibit are causing folks to stop and contemplate the many nuances of the word “vessel” thanks to the open-ended call for entries that challenged artists to consider the functions and possibilities of a vessel, both visually and conceptually. The submissions were not limited by medium, but open to a wide interpretation of what a vessel can be from a hollow container or a ship, to a canal or something else? Artists represented in Vessels hail from as near as Midtown Harrisburg and as far as Prague, capital city of the Czech Republic. 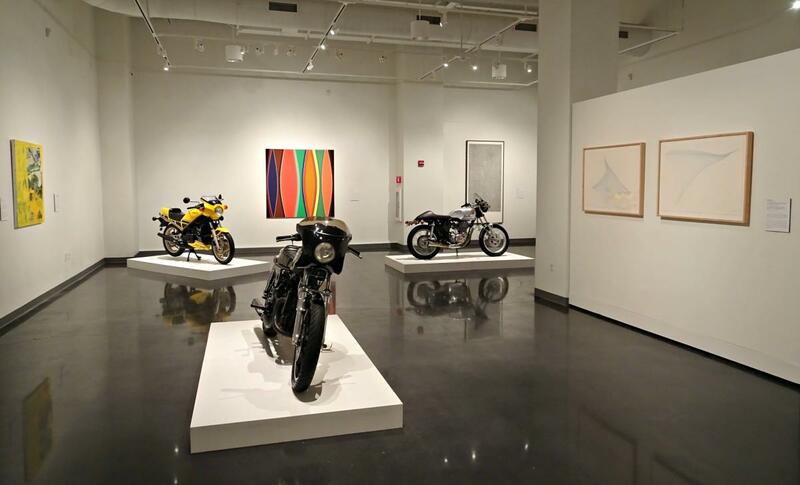 "Art in Balance: Motorcycles and Fine Art"
Art and motorcycles come together at the intersection of style & function at Susquehanna Art Museum&apos;s new summer exhibition Art in Balance: Motorcycles and Fine Art. This new limited-time exhibit features eight motorcycles and twenty works of fine art, presented in pairings for the consideration of the viewer. The classic motorcycles were selected by local motorcycle enthusiast Rod Firestone who said his choices were to show a wide swath of time periods ranging from the 1946 Indian Chief Clubman to the 1999 BSA Gold SR. Many of these bikes are very rare, making their presentation in an art museum all the more special, according to Firestone. After 65 million years in the making, dinosaurs come alive this summer during Whitaker Center’s limited engagement exhibition, Dinosaur Discovery: Where Science Comes Alive! Located inside Harsco Science Center, guests will marvel at predators hunting prey: an armored Euoplocephalus fending off a provoked Albertosaurus, discover a pack of hungry Deinonychus taking down a Tenontosaurus and hear a Maiasaura roar in joy as its eggs hatch. Dinosaur Discovery also includes four highly interactive simulator pods, where guests become a living, breathing dinosaur within an immersive, virtual Cretaceous era ecosystem. Younger guests will enjoy operating a remote controlled Hadrosaur as well as touching dinosaur skin, teeth and a nest. Dinosaur Discovery features over 12 interactive, life-sized animatronic dinosaurs that roar, feed, fight, and care for their young. This visually stimulating and interactive exhibit makes science come alive for children and adults alike. 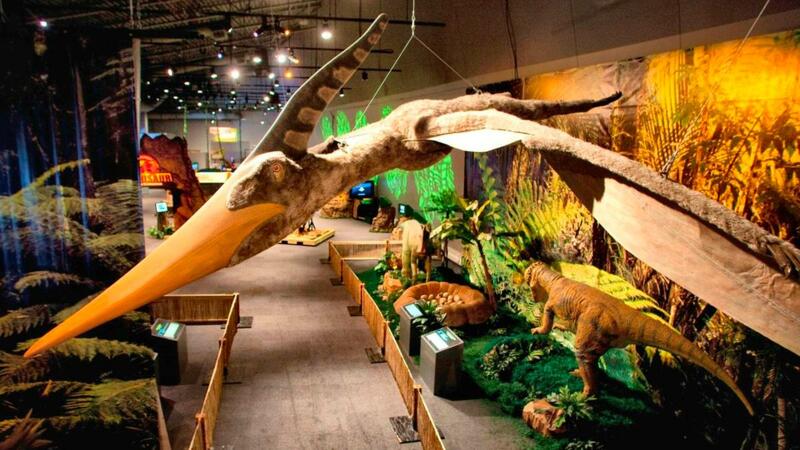 Dinosaur Discovery is included in regular Harsco Science Center admission. Cruise through time with antique automobiles, buses, motorcycles and memorabilia in a themed setting that travels from New York to San Francisco over eight decades. Changing exhibits and events always provide something new to see and do-fun for all ages. The Antique Automobile Club of America is A World Class Automobile Experience, in association with the Smithsonian Institution. "Hemmings Classic Car Detroit Underdogs"
This limited time exhibit focuses attention on the often overlooked, underappreciated and easily attainable cars we fondly recall from our youth. "Garage Finds: Unrestored Treasurers that Survived Time"
The collector car hobby is fascinated with original cars, barn finds, long-term family vehicles that are handed down generation to generation and unrestored, decades-old daily drivers are the current rage with enthusiasts and are occupying prime real estate in magazines, blogs and auctions. How does a vehicle survive in original condition? What are the stories that these vehicles can tell us of their life? "Camaro & Firebird 50th Anniversary"
Celebrate the 50th Anniversary of Camaro & Firebird with this limited-time exhibit showcasing a few of the iconic American vehicles in all their glory. 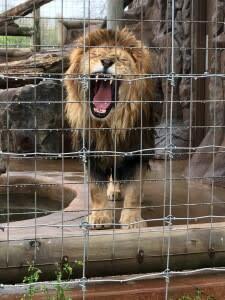 At Lake Tobias, nestled in northern Dauphin County, you can literally find lions and tigers… and bears. For the 2017 Season, the newest addition to the family is a male lion, Leo. He was brought to the park in late fall 2016 and is ready to roar for his adoring public. The park is also debuting their baby two-hump camel named Jethro. The family-owned & operated attraction has also announced plans for a new museum & education center dedicated to J.R. Tobias, the founder of Lake Tobias who opened the attraction in 1965. Mr. Tobias passed away in 1996, but his wife Pauline still lives on the property & 18 members of the Tobias family still work at the property to carry on the mission of its founder. The Lost Pint’s "Mobile Classroom" proclaims the experience goes well-beyond the standard pick-up/drop-off tour services you may have encountered elsewhere. The Lost Pint is an educational experience that allows you to get-to-know the area and learn about history, beer, and wine. (whiskey and mead too!) The tour is conducted by a college educator in a manner reminiscent of the college classroom experience, hence the “Mobile Classroom” nomenclature. 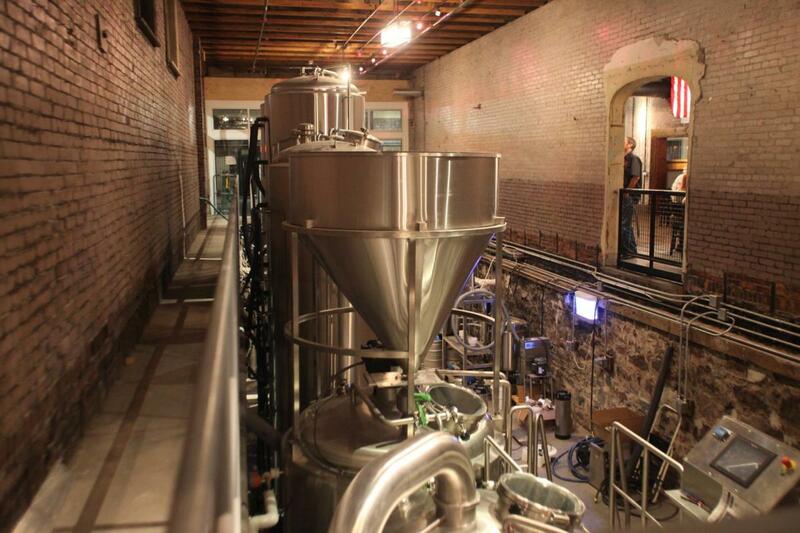 The Lost Pint conducts tours designed to encourage inclusive discourse that is engaging & fun. 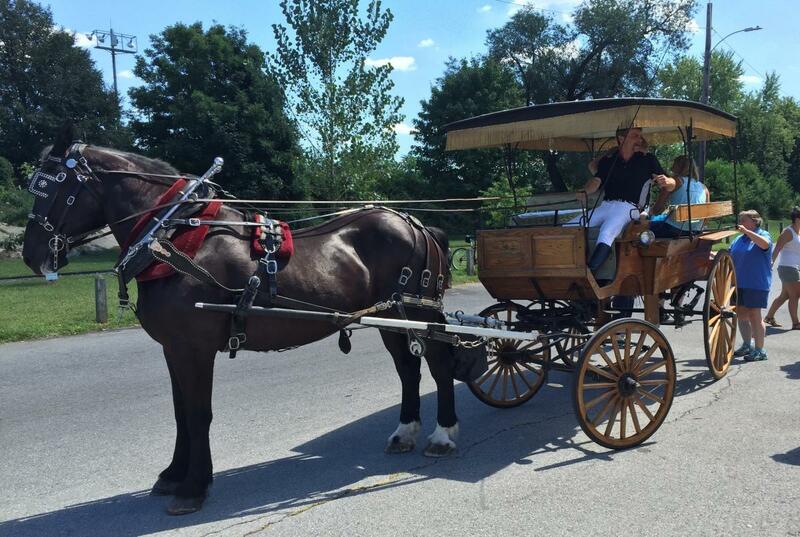 Newest addition to Harrisburg&apos;s City Island is the elegant horse-drawn carriage rides provided by the South Mountain Carriage Company crew that takes riders around the 63-acre island or along Harrisburg&apos;s Riverfront Park. Services are also available for weddings, historical tours, hayrides, and special occasions. The resort has opened a 700-foot inflatable Super Slide (pictured below) that races down an 80-foot vertical drop through a series of sprinklers into a splash down zone. The new summer attraction which opened Memorial Day Weekend 2017 allows riders to use either a single or double tube or just your body, but resort officials claim the tube provides greater speeds. Riders must be 5 years old and 45 inches tall to slide. 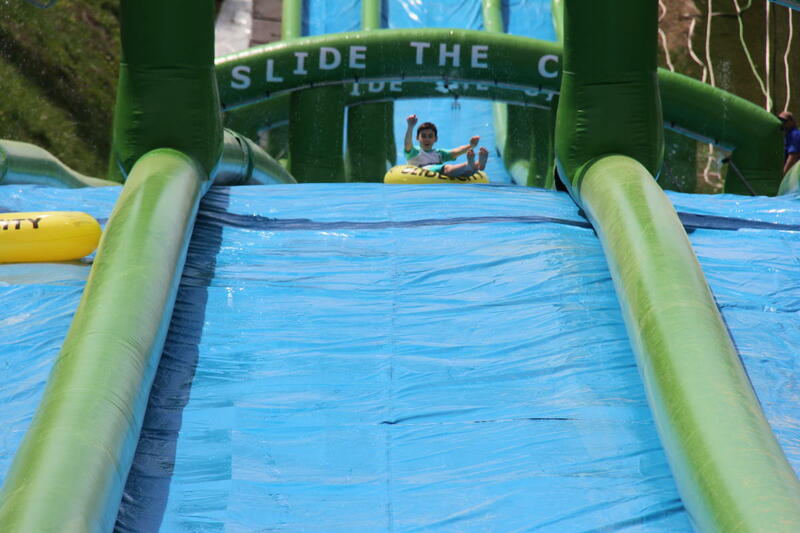 The Super Slide is part of the resort&apos;s Mountain Adventure Package which includes a 4,800 square-foot maze, zip lines, climbing and playing structures, obstacle course, bumper boats, a scenic chairlift, and the OGO Balls (pictured below) - which are inflatable balls filled with water that allow guests and friends to body surf inside them as they roll down the beginner ski slope. 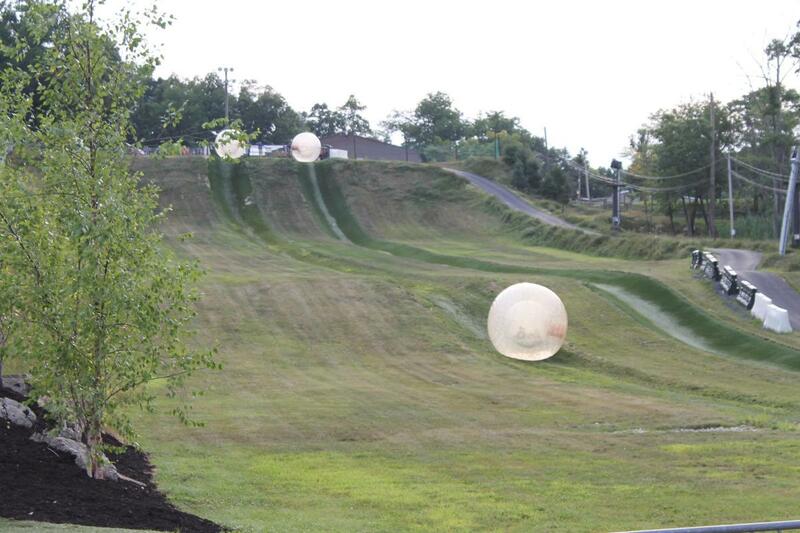 Roundtop Resort also unleashed a new way to take on the mountain this summer with ResortBoard(R) Tours. After ample training & practice on these highly versatile personal transport vehicles (pictured below), guests will set out to explore more than 1,000 acres of terrain including ski slopes, paved & dirt roads, and places where few guests have ever gone before on the mountain. Tours run $39 and can be tailored to any interest or skill level. Guests can reserve their spot online or by visiting the Mountain Adventure Group Sales Office. The Tattered Flag Brewery & Still Works opened in late 2016 as the region’s first co-branded and co-located Craft Brewery & Craft Distillery. The new venture is owned & operated by a Navy veteran, Pat Devlin and his three high school friends who always dreamed of opening a brewery together. In their effort to make a dream come true, they also helped to revitalize a major cornerstone structure in Middletown, a quaint village located within the Hershey Harrisburg Region. In 2016, the Tattered Flag & Still Works was named “New Business of the Year” by HHRVB. Back in 2010, brothers Chris & John Trogner were sketching a vision for their new brewery on the back of a napkin. 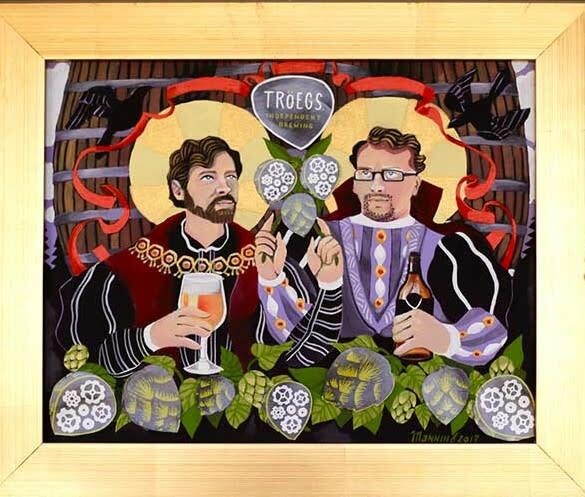 In 2011, that vision became the 90,000 sq-ft Tröegs Brewery in Hershey with a 5,000 sq-ft Tasting Room, open brewhouse, and General Store. The brothers’ napkin also included an important yet unrealized vision - a space dedicated to wood-aging, a sanctuary for strong ageable ales, a home for wild yeast & bacteria, and a wide-open canvas for creative cellaring, where a new series of PA wild ales would be brewed with fruit & microflora from their own backyard. 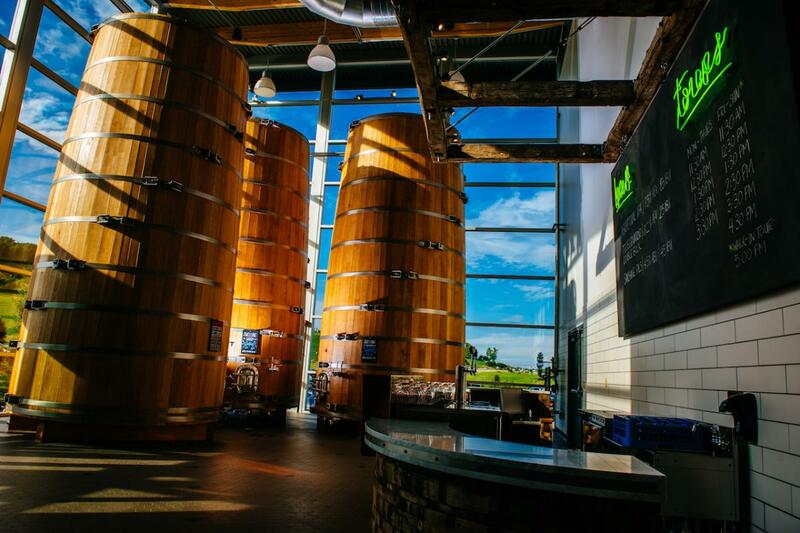 In July 2016, their “wood-aging dream space” dubbed The Splinter Cellar (pictured above) opened with three 20-foot-tall “foeders” - Dutch for large oak tank - that were handcrafted by the 200-year-old Italian barrel manufacturer Giobatta & Piero Garbellotto using dozens of staves of Italian, Hungarian & French oak air-dried for three years to mellow any harsh flavors. 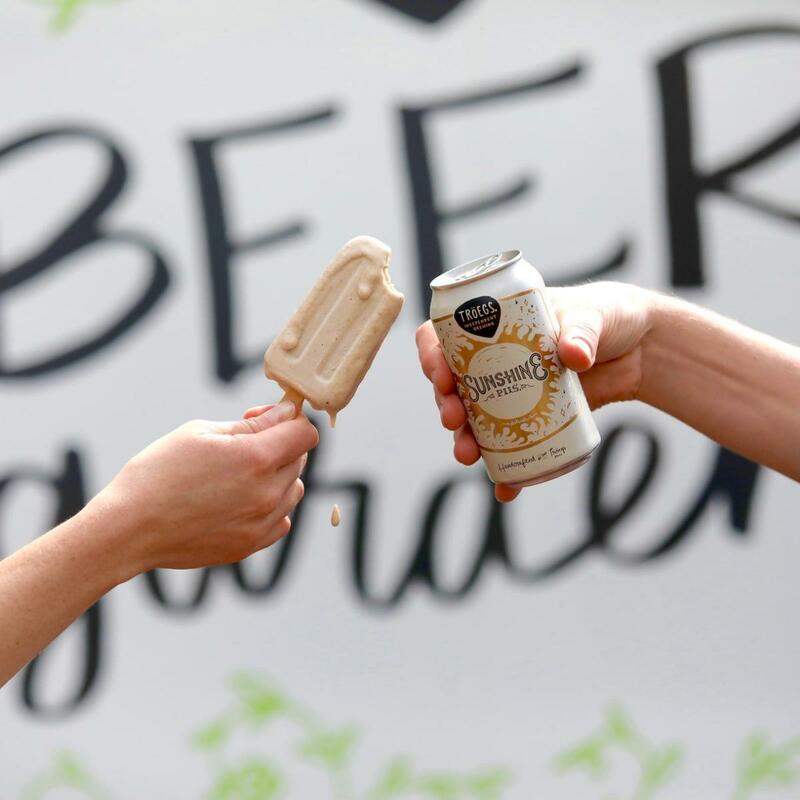 (UPDATE: August 1, 2017) Tröegs Brewery announced the opening of their new Beer Garden and Food Truck featuring an exclusive menu of snacks and sandwiches not available at the Snack Bar inside the brewery. The truck of treats include fried pork belly and oyster skewers, frozen Raspberry Gose-infused "paletas" - meaning popsicles - (pictured above) and their popular "Fun Bun" pretzel bun stuffed with cream cheese and chives. The new area is dog-friendly, making it the perfect spot for Spot, while you enjoy a cold can of Tröegs beer paired with a paletas. The new Beer Garden area is open any time during official brewery tasting room hours, but the Food Truck is only open in the summer during the hours listed below from Friday through Sunday. Sunday - 11 am to ??? The Millworks is an innovative multifunctional concept envision by local developer Joshua Kesler that continues to evolve and grow within Harrisburg’s Midtown neighborhood. 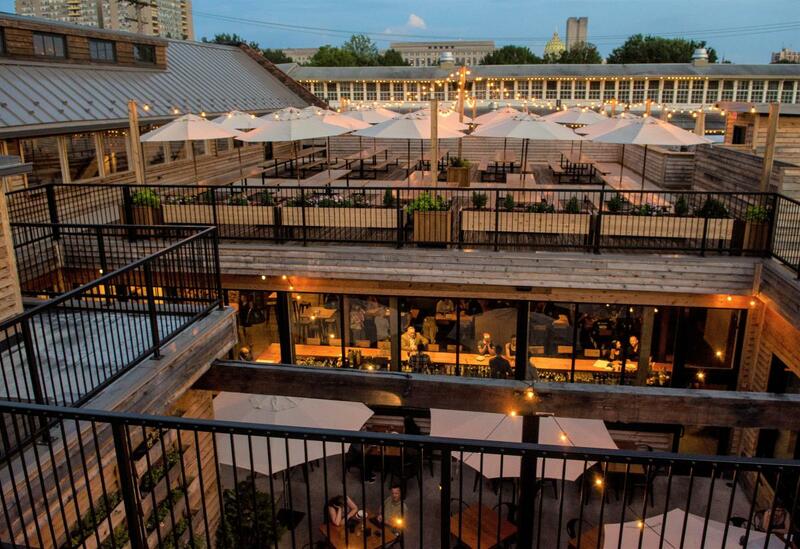 The combination of locally sourced restaurant, live entertainment venue, and artist studios, which originally opened in 2015, has added an in-house micro-brewery and the city’s largest rooftop biergarten that provides up to 165 guests with unobstructed views of the surroundings. 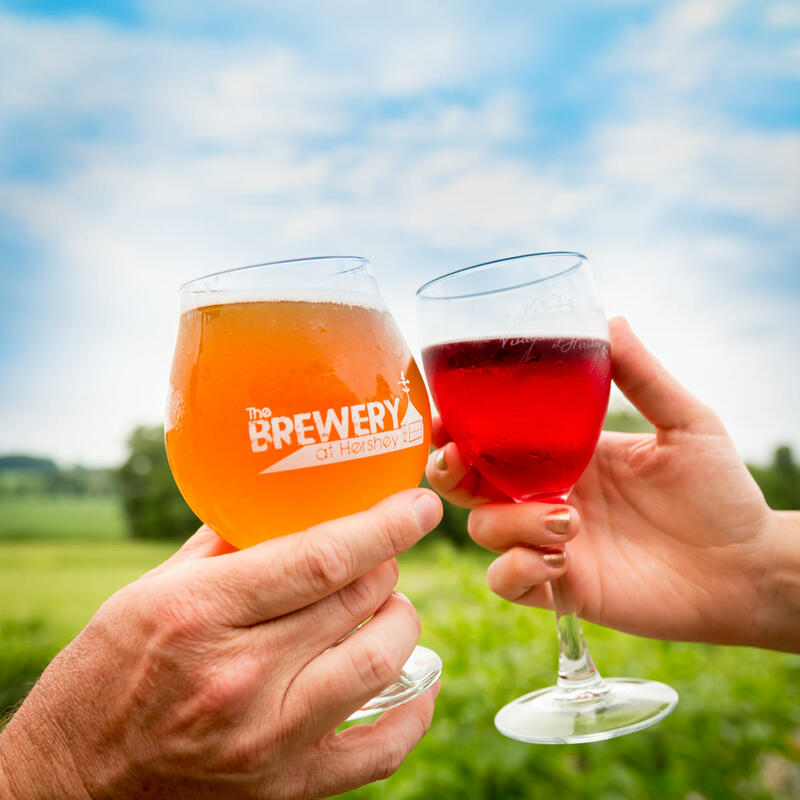 This Vineyard & Brewery in the Hershey area have introduced new experiential education classes in 2017 that include: wine & chemistry, wine & ice cream, wine & cheese production, and an agricultural trolley tour that takes guests from a fruit and veggie farm to a dairy farm and back to the vineyard. An 18th century two-story field stone structure built by one of Harrisburg’s earliest settlers, a German immigrant named Godrey Fritchey, is now home to the Greystone Public House, one of Harrisburg’s newest dining establishments. Since opening in July 2016, the restaurant offers a sophisticated yet approachable menu with modern twists on seasonal ingredients. The new owners did extensive restorations which preserved many of the historic aspects of the home including writings by the 13 Fritchey children uncovered deep in the bedroom walls and a copy of the original liquor license obtained by Godrey in 1805 to operate a tavern onsite. Mary Smith, President & CEO of the Hershey Harrisburg Regional Visitors Bureau is available for media interviews regarding the contents of this news release. Please try to make interview requests at least 12-hours in advance. The bureau will make every effort to accommodate all interview requests. Contact Rick@HersheyHarrisburg.org or cell 717.884.3328.